It’s often stated that the most extreme circumstances propel gifted people to the biggest success. That’s never been truer than the story of Dr. Karlo’s Boghosian, founder, and CEO of SoVita Chiropractic Center. From a childhood in war-torn Iran to the University of Bridgeport, Dr. Boghosian has created the life of his dreams with SoVita Chiropractic Center. Dr. Boghosian recently shared his compelling story with his alumni, University of Bridgeport. See the details here. Clinic Efficiency: Are you Failing the Test? As Americans continue to seek healthy living options, there’s an abundant need for quality healthcare choices like chiropractic care. However, many chiropractors struggle with the idea of “wearing too many hats” as they manage their own clinics, thus decreasing the opportunity to provide profitable and high-quality care. Dr. Boghosian recently discussed the simple strategies to identify, develop and implement processes and easily replicable systems to address their common challenges. Chiropractors have long cared for children, and adults who are already chiropractic patients themselves are seeking spinal care for their active kids. As such, chiropractic care centers continue to evolve to fulfill their unique needs. Dr. Boghosian recently discussed the simple strategies for incorporating kids’ chiropractic care into your practice in his latest contribution to DC Practice Insights. Check it out here! By the time Dr. Karlos Boghosian arrived in America, he’d traveled a difficult route. But, through all his hardships and tribulations, his desire to help those in need has never wavered. That’s what he recently discussed with Amy Feldman of Forbes in “Why Should I Eat Falafel?’ Seven Immigrant Entrepreneurs Talk About The Impact Of Trump Travel Ban.” See what he had to say here! “Far too often, we’re so focused on patient care that we forget about the importance of creating a total experience for our guests. Every patient encounter is a chance to impart wisdom and guide them toward better vitality, and that starts the moment they walk through our doors.” Dr. Karlos Boghosian will deliver this message and more as he presents “The First 15” at the New Beginnings Winter Intensive on Saturday, January 28. Our franchises help patients discover their path to achieving optimal health through chiropractic care — and how practitioners can meet their personal and professional goals.–Dr. Karlos Boghosian, founder of SoVita Chiropractic Center™ With a commitment to deliver the highest level of chiropractic and health care services available, SoVita Chiropractic Center™ is proud to announce a corporate rebrand and franchise expansion program. Learn more about our renewed commitment to safe and effective chiropractic care nationwide in the full press release here. 11/22/2016 SoVita – Creating the perfect, patient-centered office visit is greatly important for any dedicated practice. Our own Dr. Karlos Boghosian, D.C., recently shared his advice with Chiropractic Economics on how to build trust with patients by providing fact-based evidence for their care, and the best ways to combat typical patient objections. Take a look at the article here! 11/15/2016 SoVita – Small business owners are in a constant search for tips and tricks on how to best manage their organization. For these entrepreneurs, these tidbits and advice are invaluable. Our founder and CEO, Dr. Karlos Boghosian, recently shared his take on how to being highly interested in self-development and growth with MyCorpration.com. 11/15/2016 SoVita – Finding solutions to help our practices run as smoothly and efficiently as possible is paramount for chiropractors. Believe it or not, the patient experience starts in the first 15 seconds! Our founder and CEO, Dr. Karlos Boghosian, recently shared SoVita’s strategies for perfecting a practice with Dynamic Chiropractic. Check out the article here! 9/29/2016 SoVita – Partnerships with his local community are of the upmost importance to our founder and CEO, Dr. Karlos Boghosian. That’s why he recently presented a check to a group of youth members at the Asylum Hill Boys & Girls Club in Hartford, raised by SoVita’s team members. 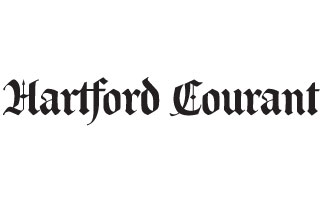 The Hartford Courant was kind enough to tell SoVita’s community story, and you can read all about the partnership here!